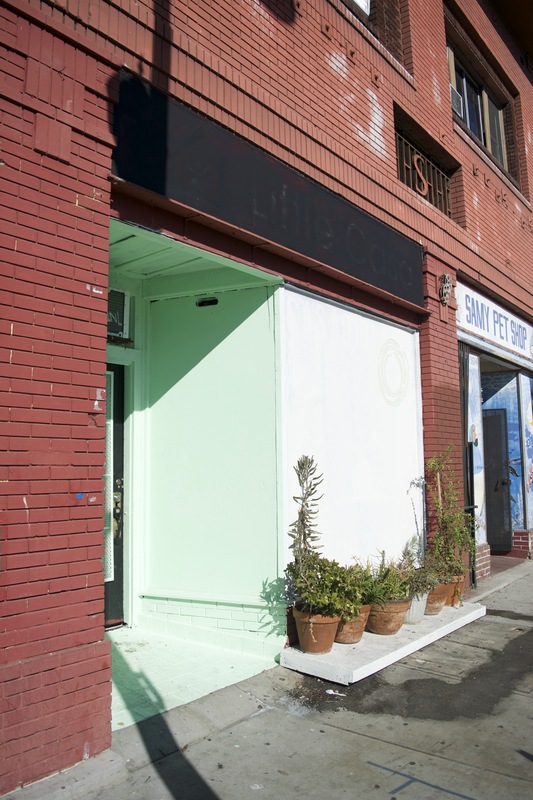 New Boyle Heights home of the all-women Teatro Luna West Company. 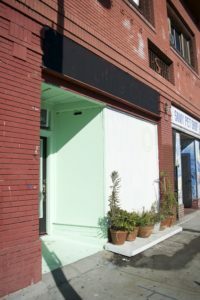 An all Women-of-Color company founded in Chicago has moved into the small storefront near the corner of 1st and Cummings St. in Boyle Heights that was until recently the home of Little Casa 0101. Members of Teatro Luna say it’s part of the company’s plan to expand into regional companies, with the goal of empowering local communities while providing a safe space for marginalized groups to express themselves through theater and performance. Now called Studio Luna, the space familiar to local theatergoers is the new home of Teatro Luna West. The troupe moved in last September and premiered its first full-fledged production on Nov. 12. The Times, an original play by Teatro Luna West, addresses threats to minority groups in the U.S under the Trump administration. 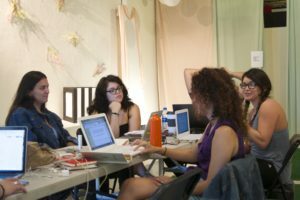 Earlier, the studio held sessions of Talking While Female, smaller, monthly one-off nights where community members and professional artists are invited to share their stories. 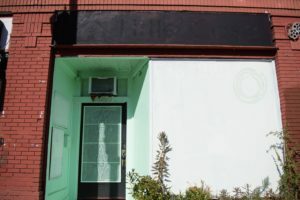 Studio Luna is operating while it remodels what was once the original home of Casa 0101 Theater, which they say could take up to two years to complete. Alexandra Meda, the co-artistic director of Teatro Luna West and an advocate for female identity and expression said that what began in 2000 in the Midwest as an all Latinx company developed into the Latinx + WOC (Women of Color) ensemble it is today. “In my experience, theater is empowering,” added Malán-González. “When people stand on the stage, and they speak, and they have an audience, there’s a feeling that comes over people who may have felt that they were disenfranchised or that they never had the opportunity. “It’s about opportunity,” she said. Members said the company wants to maintain the teatro culture of older, more established troupes – like El Teatro Campesino in Northern California or Pregones in the East coast – which places an emphasis on the family dynamic and the need to work collectively to achieve goals. The theater will not only puts on plays, but also host community events and workshops. “We do theater, but it’s not just theater. 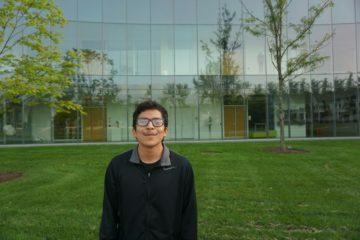 Just like art is not just art,” said creative producer Jessica Perez. 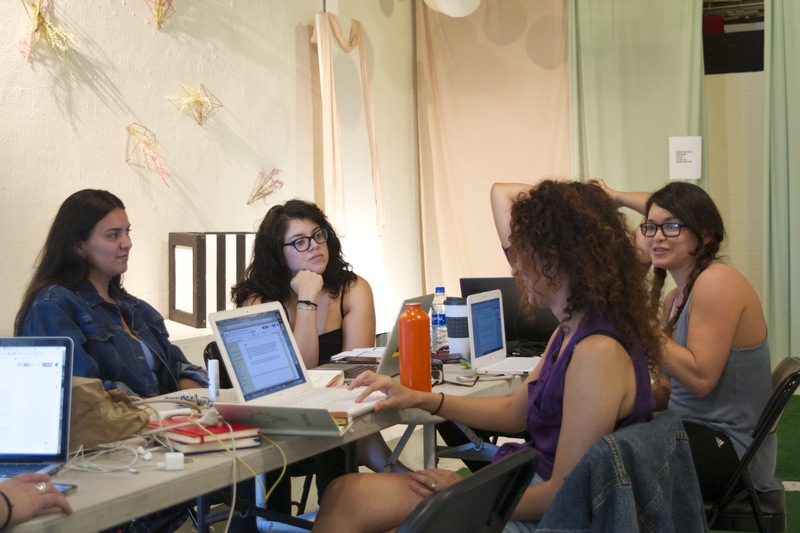 Members of the all-women company during a meeting at their Boyle Heights theater. It was during a national tour in 2013, that included Los Angeles, that Teatro Luna first decided to create regional ensembles. That idea was solidified in 2014 when the company was invited to do a six-month residence as part of the Encuentro De Las Américas, a theater festival hosted by the Los Angeles Theatre Center, but it took the group four years to find a permanent home in the city. 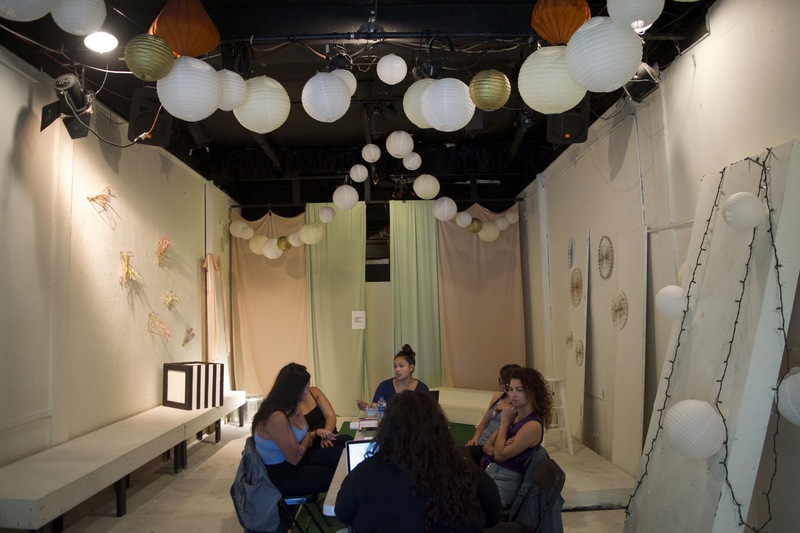 Meda made it clear that the group moved into the space after being invited by Casa 0101 founder Josefina López. “This is in no way a taking over of their space [but] rather inheriting it,” she said. “From our perspective, the Teatro Luna West perspective, we are more than honored to continue a legacy.”. 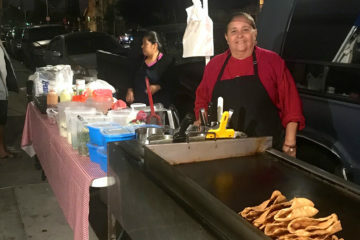 She also said it was a coincidence that the company moved into the same neighborhood portrayed in the controversial television series Vida, created and produced by Tanya Saracho, a founder and former member of Teatro Luna. 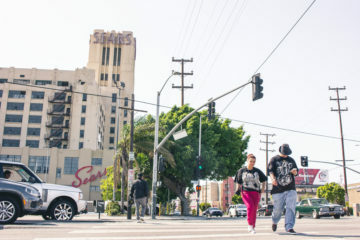 Some in Boyle Heights have criticized the show on the Starz network for appropriating the neighborhood’s character while ignoring many of the serious issues the community face. 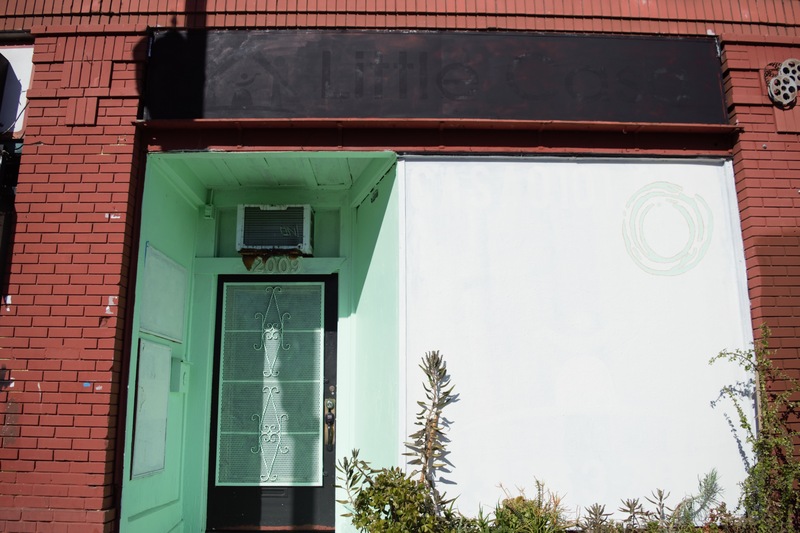 While the all-female ensemble moved into Boyle Heights with the goal of giving agency to residents, the Teatro Luna West troupe is aware that their move may be perceived as another act of gentrification. “I don’t want people to think ‘who the f- are these people, coming in and co opting?,’ that’s not what we want to do, ” said Meda. As a gesture of goodwill, the company will offer Boyle Heights residents free admission to all of its performances and events. 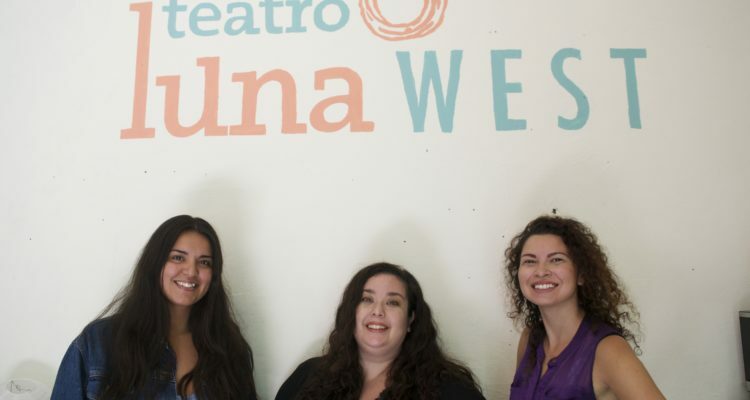 Photo above: Jessica Pérez (left), Alexandra Meda and Maya Malán González are members of the all-women Teatro Luna West Company. Valentina Guevara-Hernández is a junior at Francisco Bravo Medical Magnet High School. She passes her time watching documentaries, making music playlists, and editing for her school’s newspaper. After graduation, she plans on attending university as a history major/minor in film.